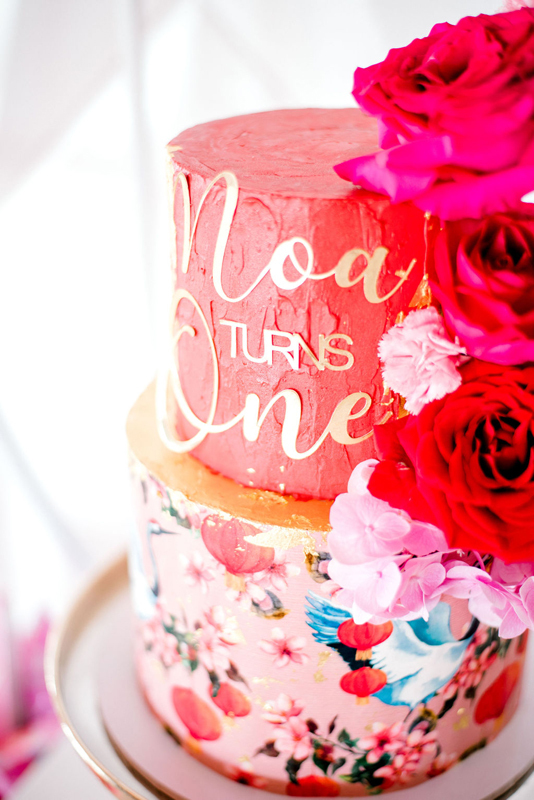 Noa’s Mum Grace is the owner of Milk and Honey Cake Creative on the Gold Coast. 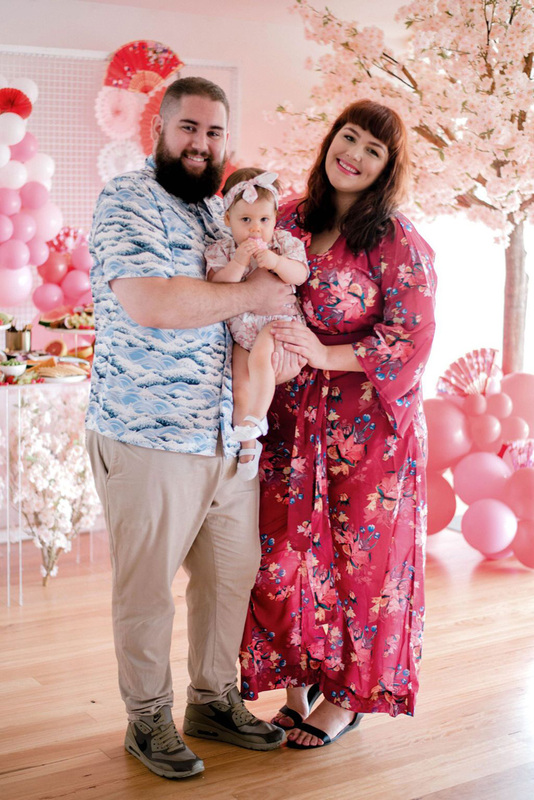 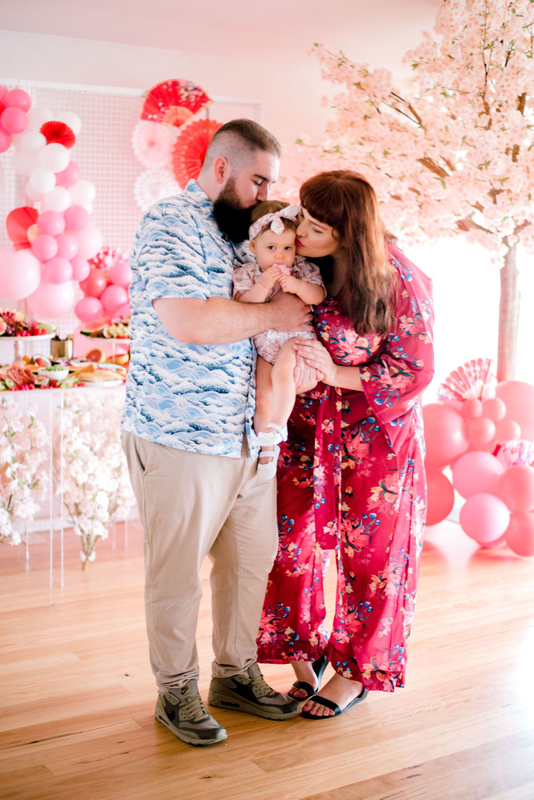 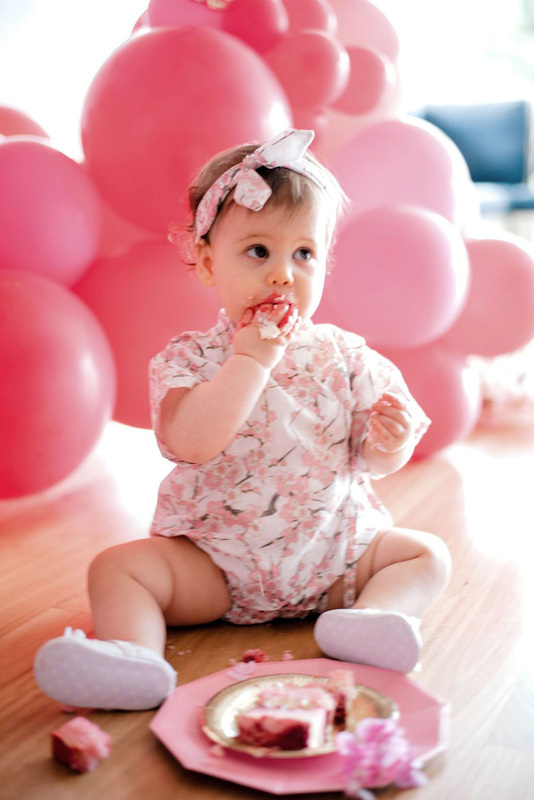 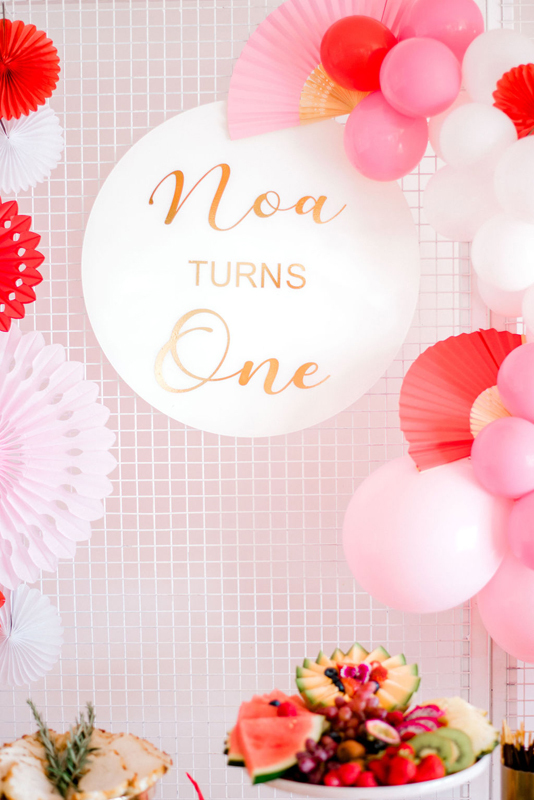 So, when her little girl Noa turned one, it was only natural for Grace to host a magical party to celebrate. 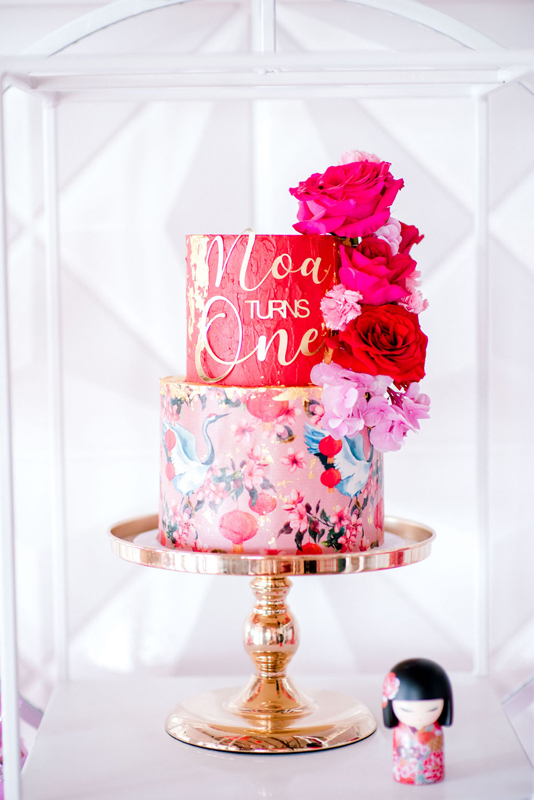 And yep, you guessed it, there was a show-stopping, mouth-watering, talk-of-the-party kind of cake. 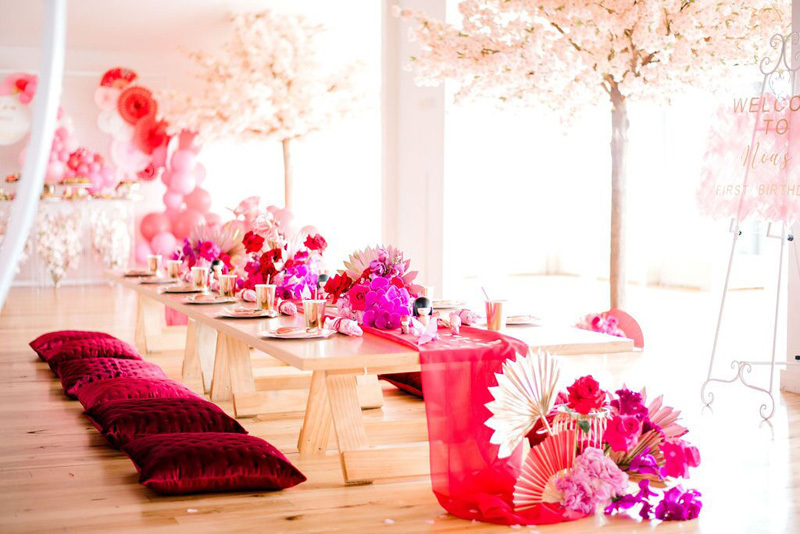 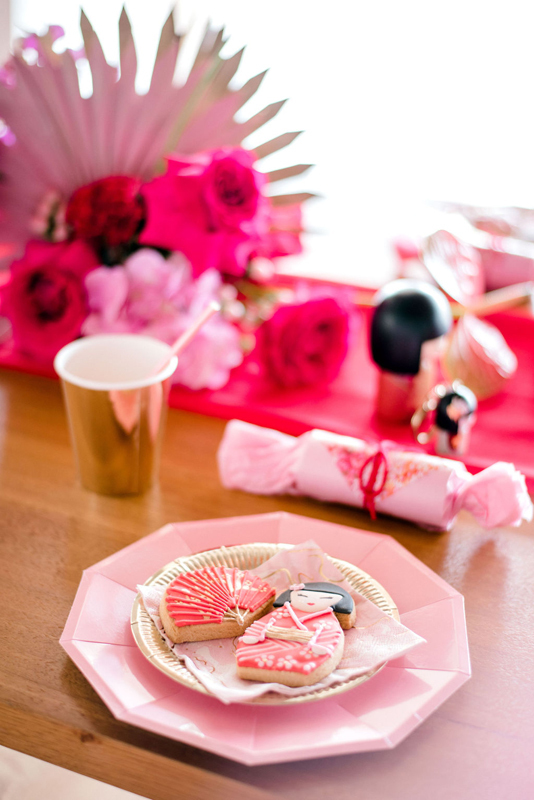 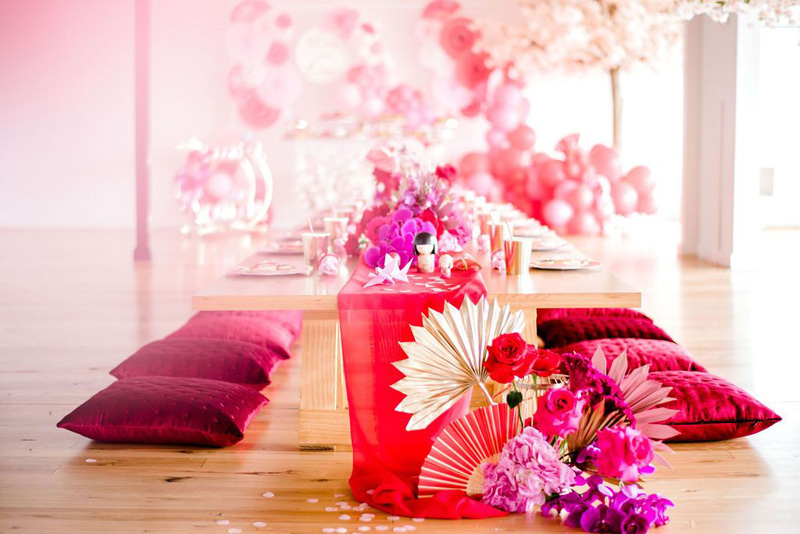 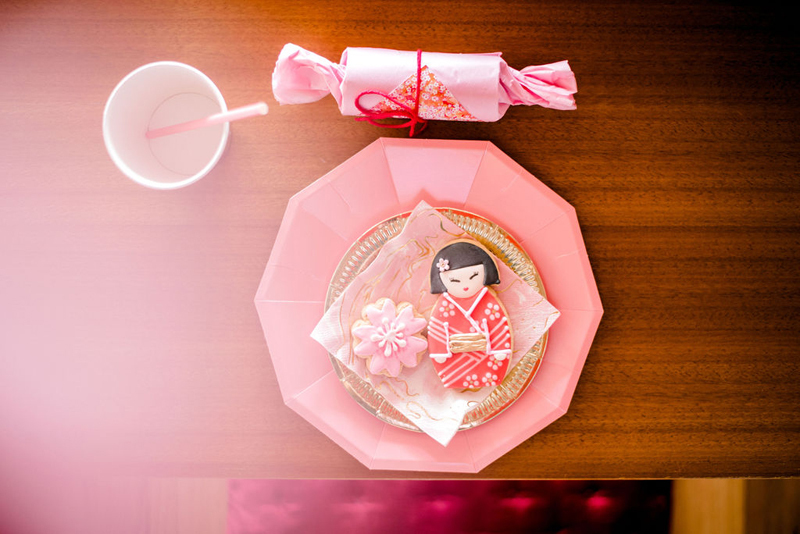 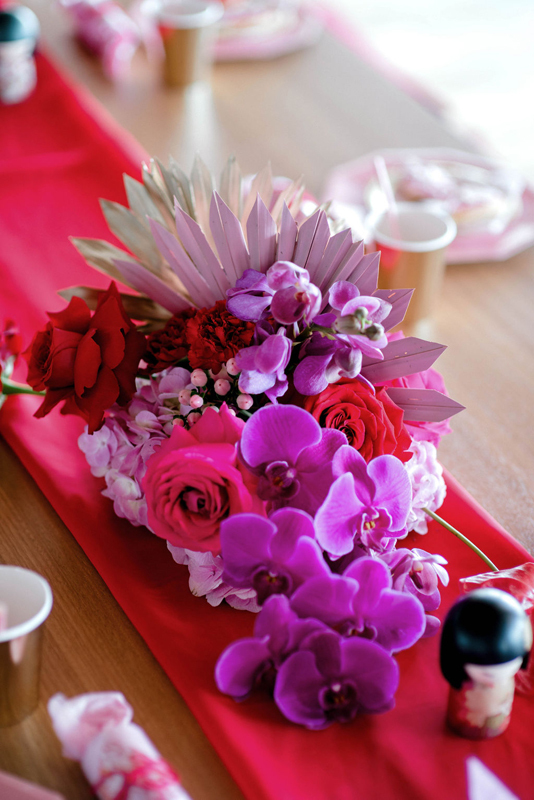 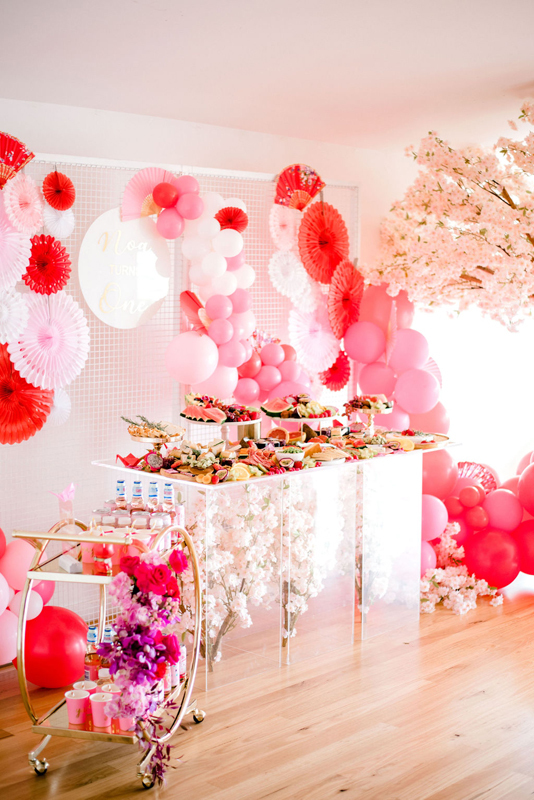 The theme behind the party was ‘modern-Japan-meets-girlish-femininity’. 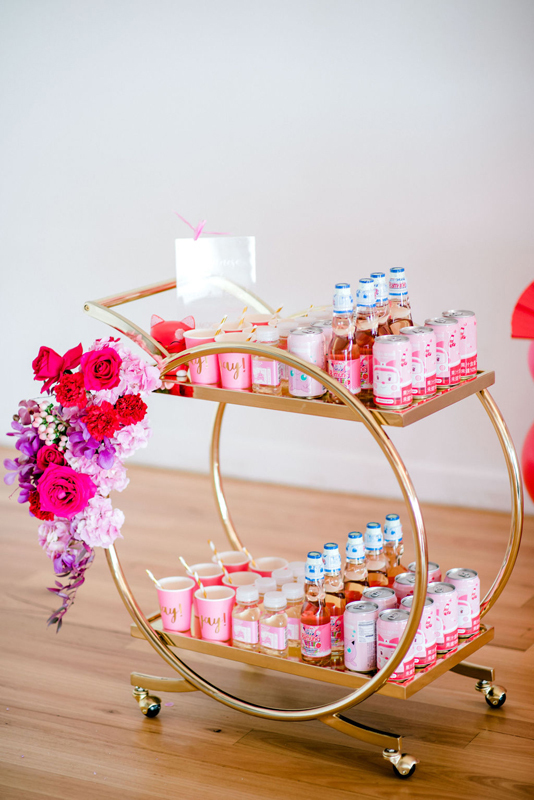 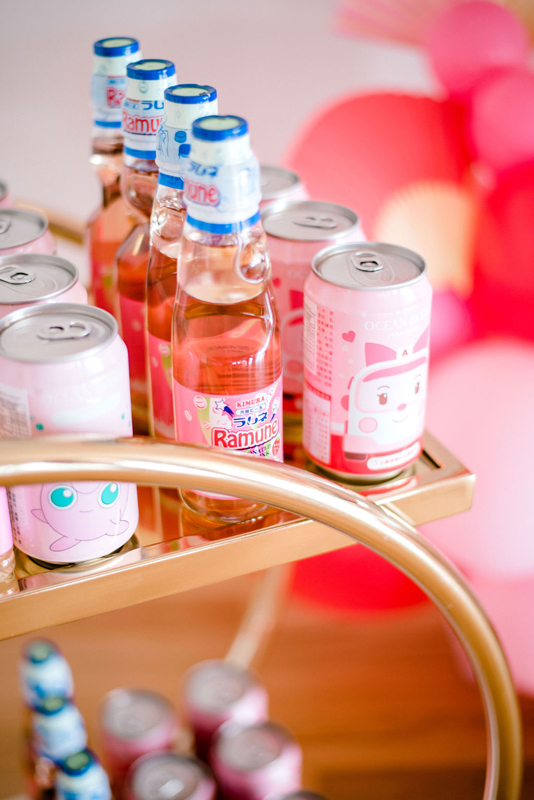 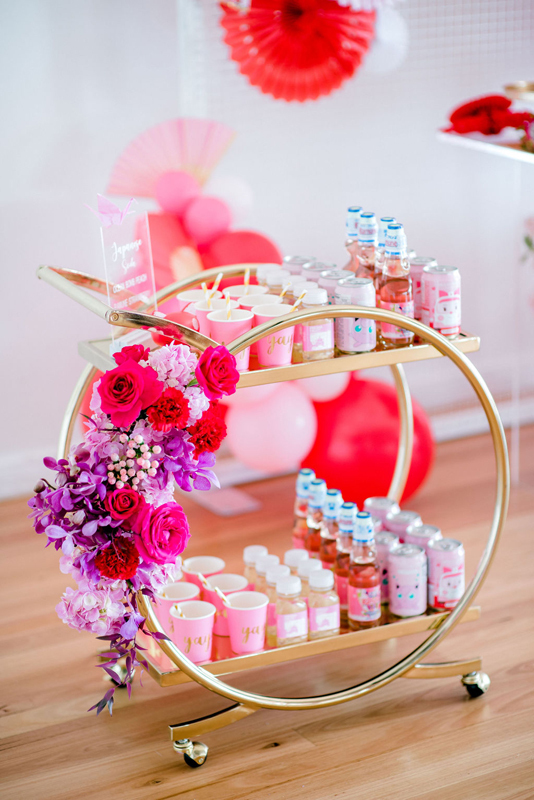 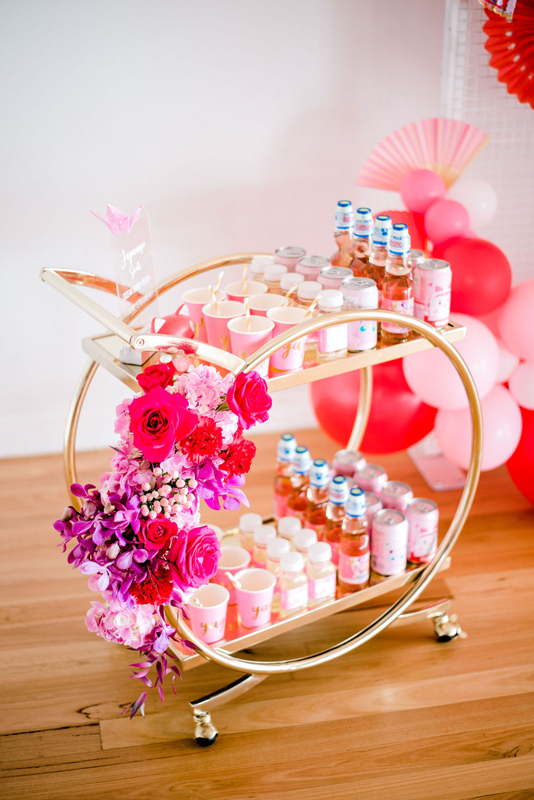 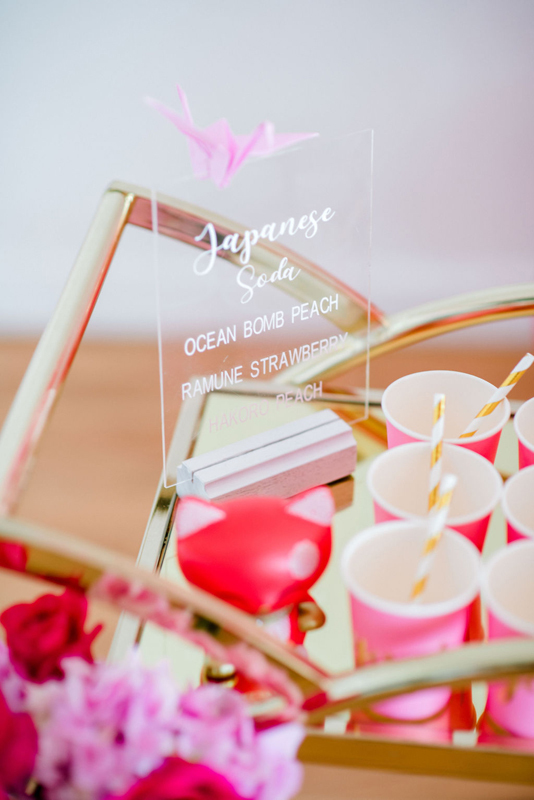 Think; Japanese soda carts, a Japanese-inspired grazing table, paper cranes and Kimi dolls. 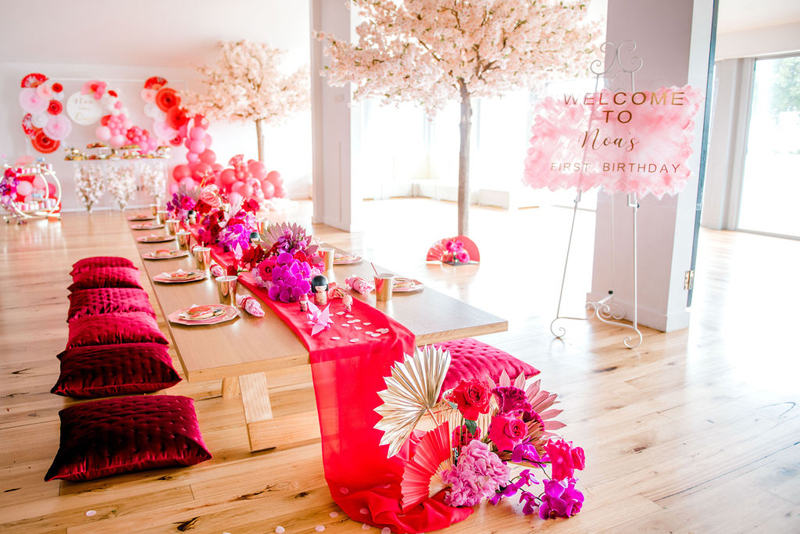 Bringing even more wow-factor were the parasols and lanterns decorated with cherry blossom trees hanging from the ceiling. 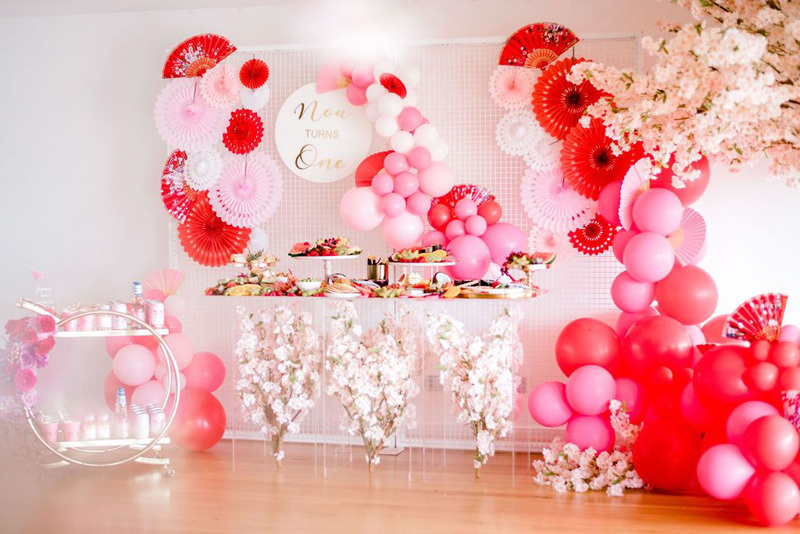 Plus, did we mention the jaw-dropping balloon installation? 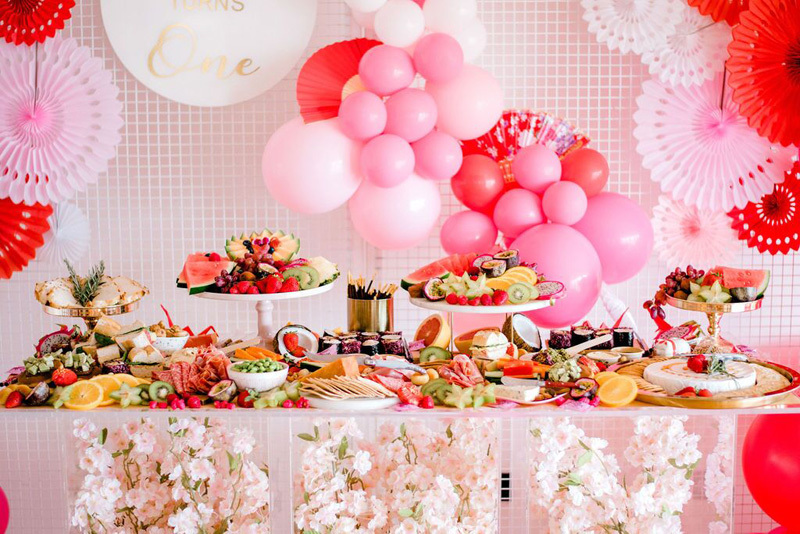 This party had it all! 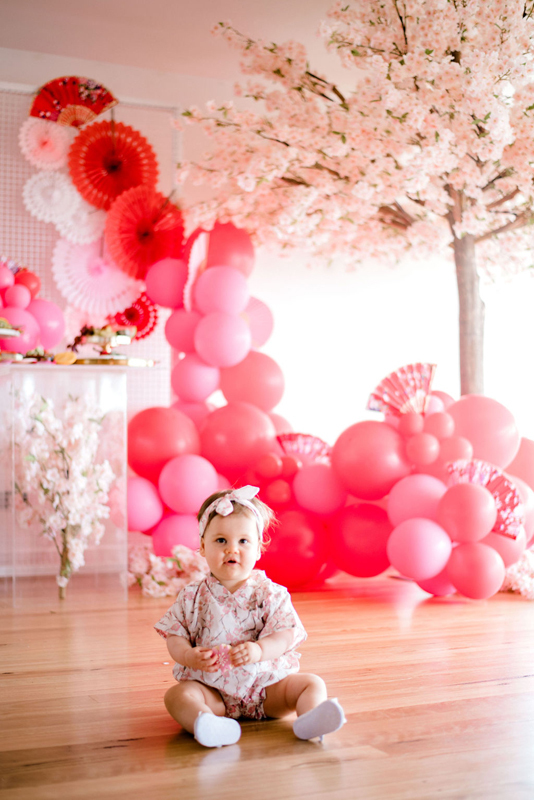 And the adorable inspiration behind this theme? 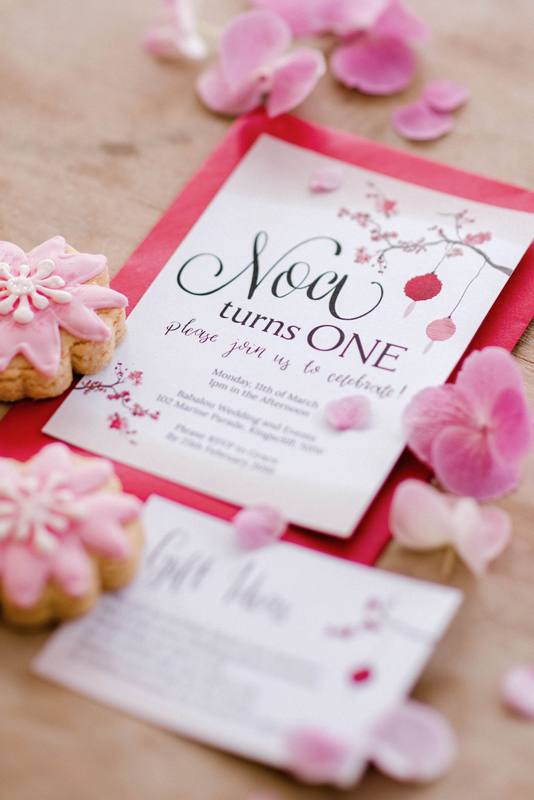 Grace chose it because Noa is Japanese for ‘my love’— a beautiful touch to this chic celebration. 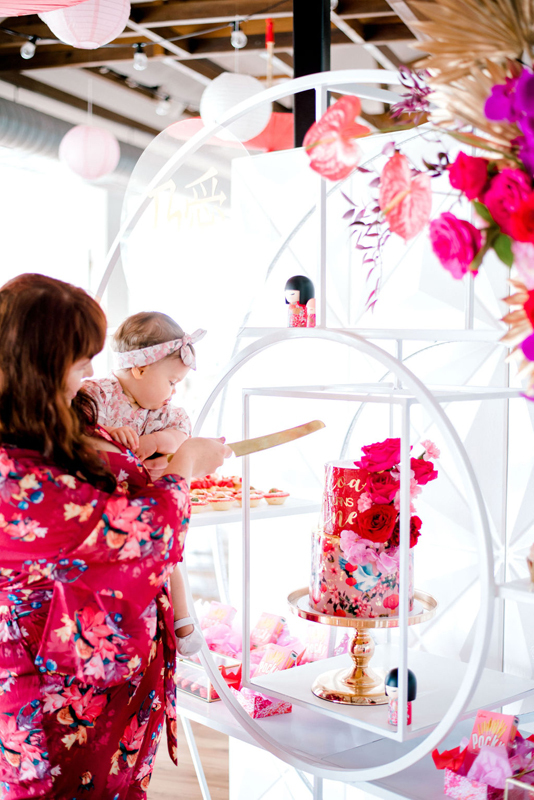 Grace created an awe-inspiring feature cake, while Wild Child Cakes created amazing array of nibbles and sweet treats. 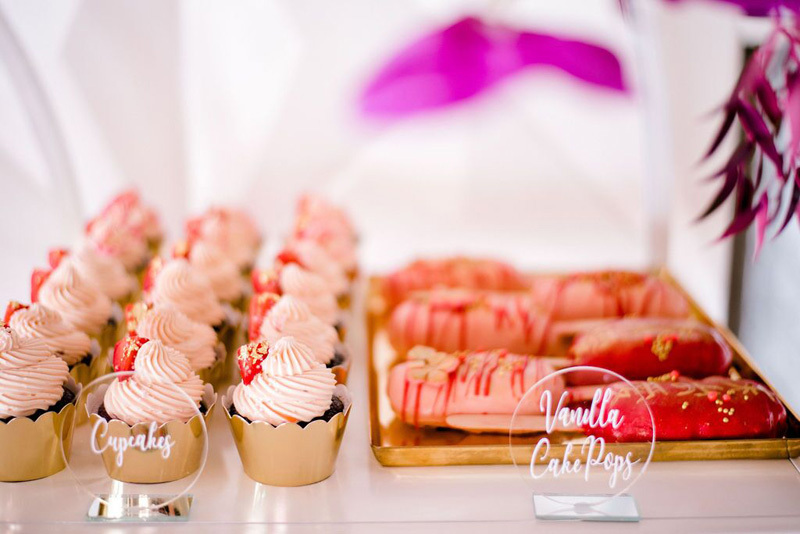 The custom-made dessert display held the 2-tiered cake, cheesecake tarts, cake pops, chocolate covered Oreos, macarons and cupcakes. 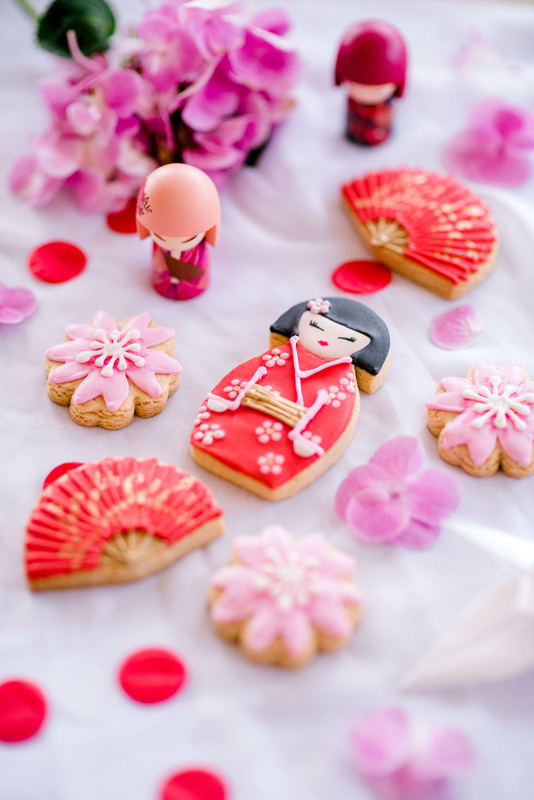 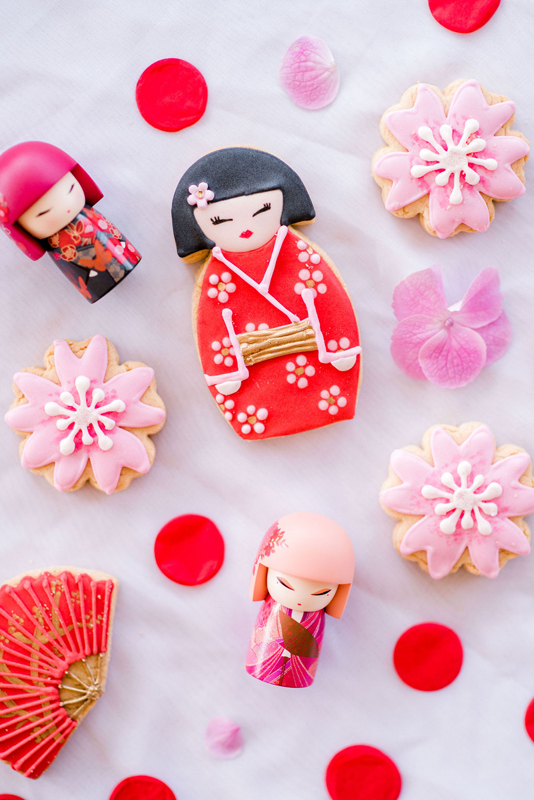 Love Bite Cookies also made geisha, oriental fans, and cherry blossom cookies. 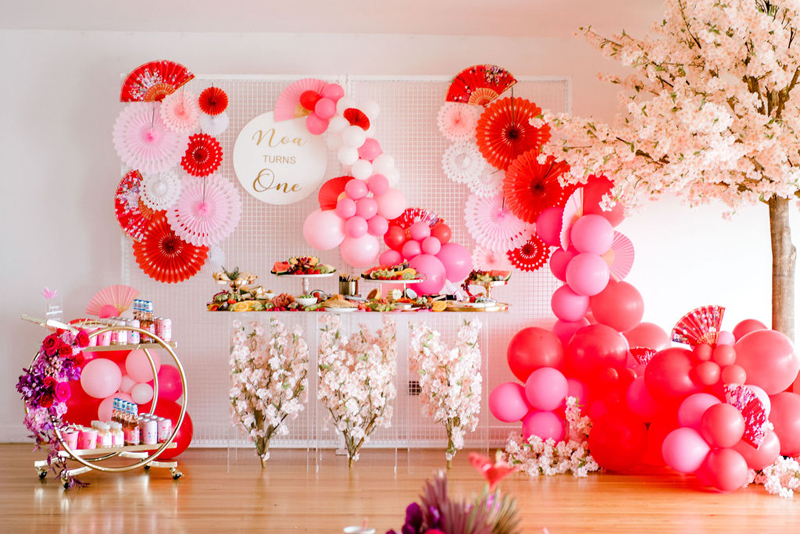 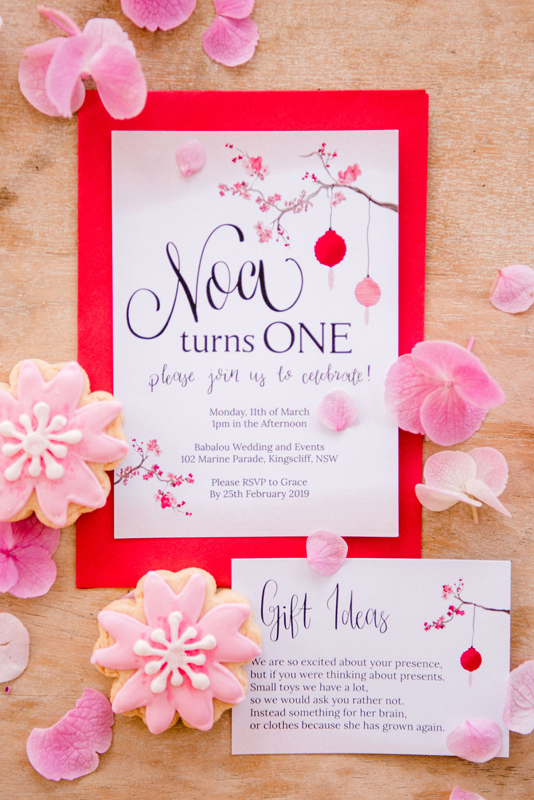 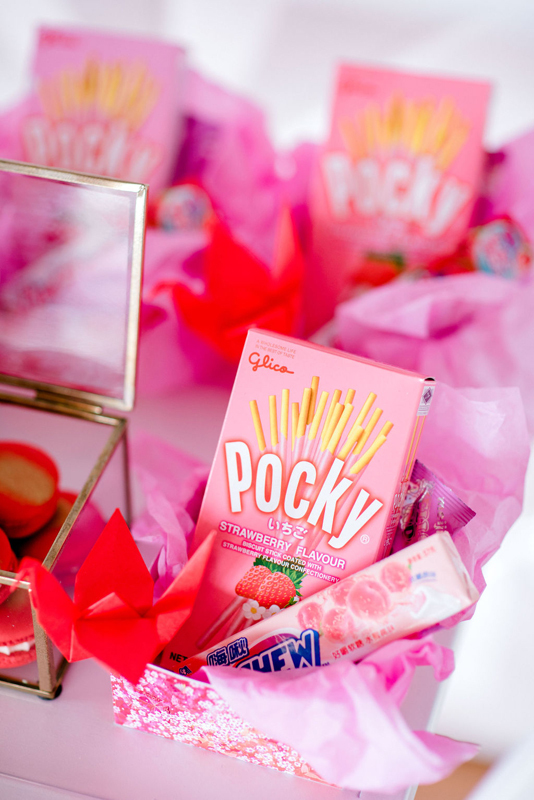 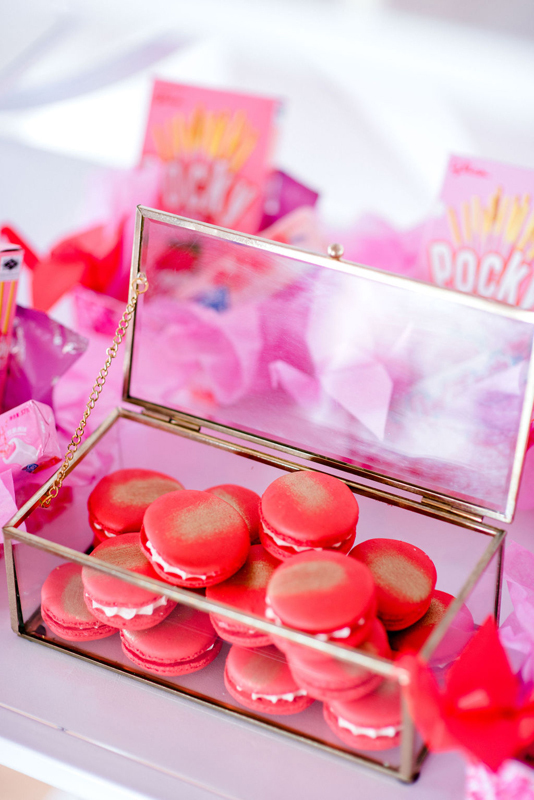 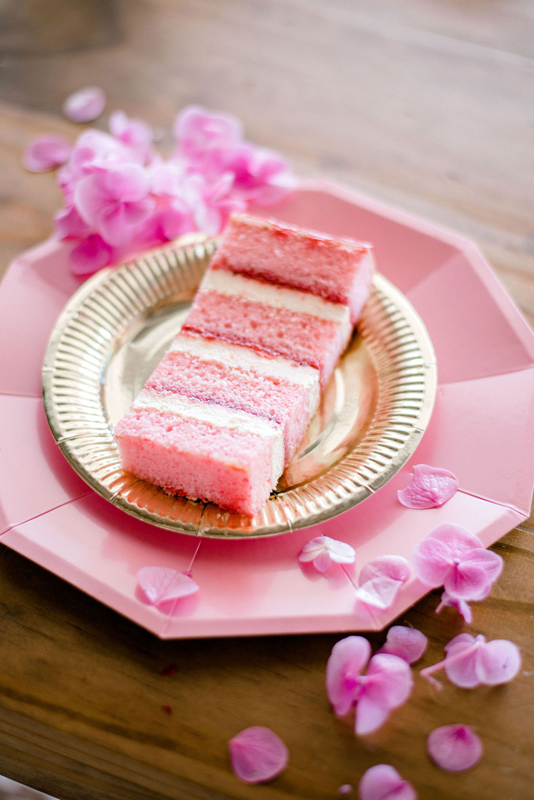 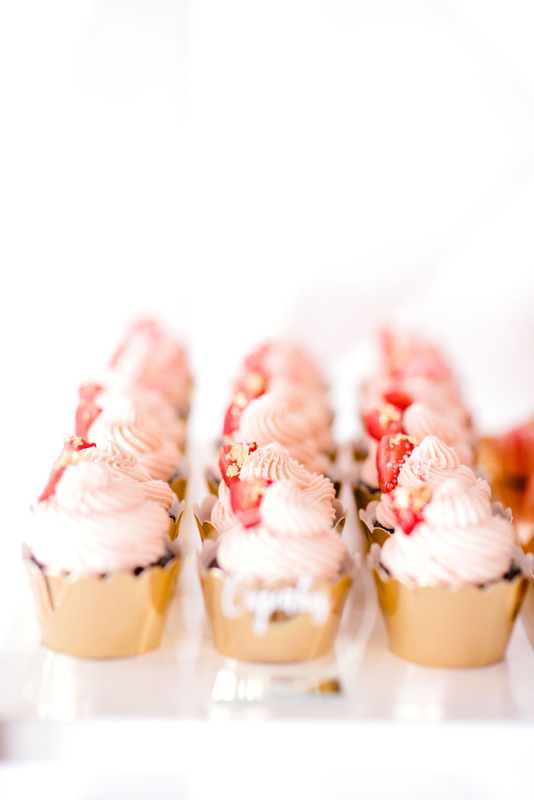 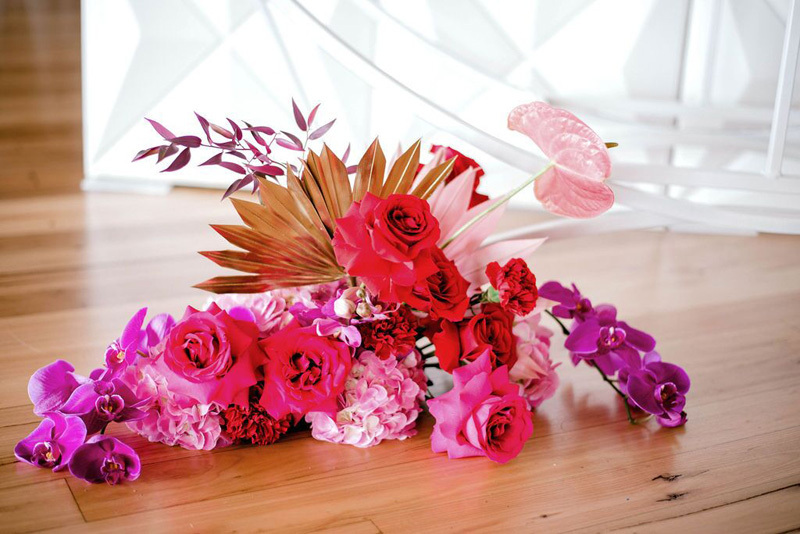 All of these sweet-delights matching the colour palette of red, pink and white! 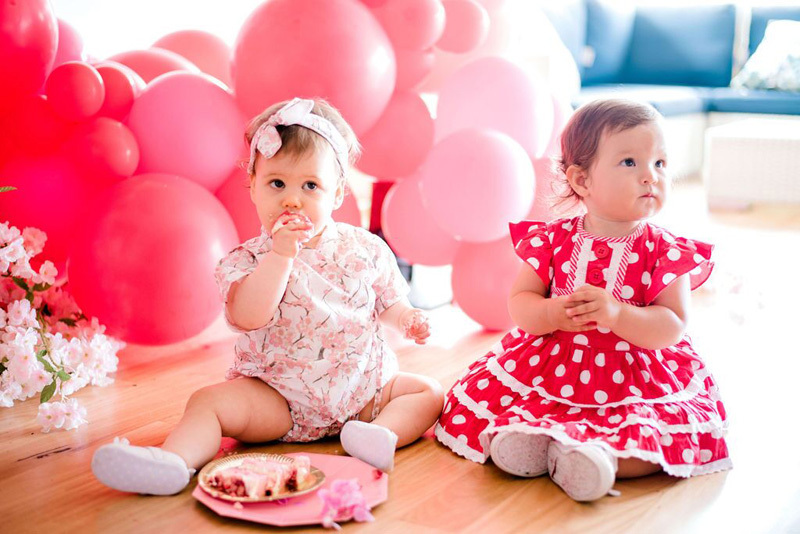 With all these beautiful and yummy treats, we know why Grace’s favourite part of the day was watching Noa enjoy her first taste of sugar and dig into the cake! 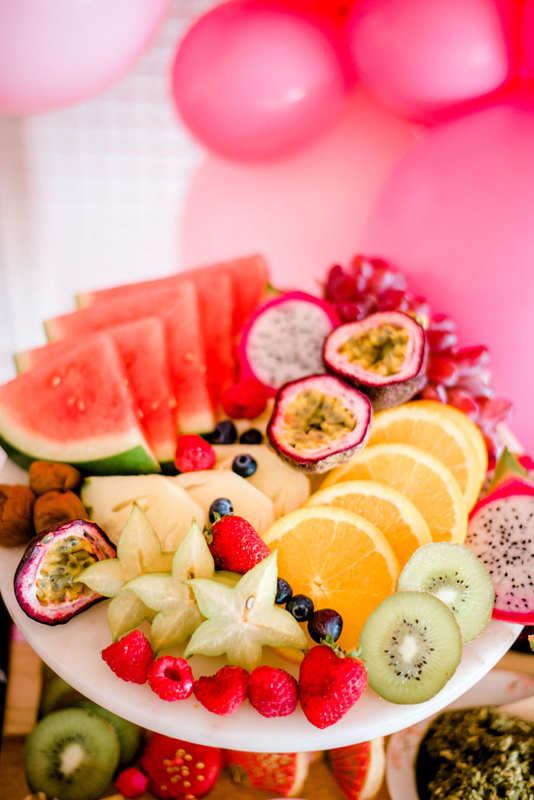 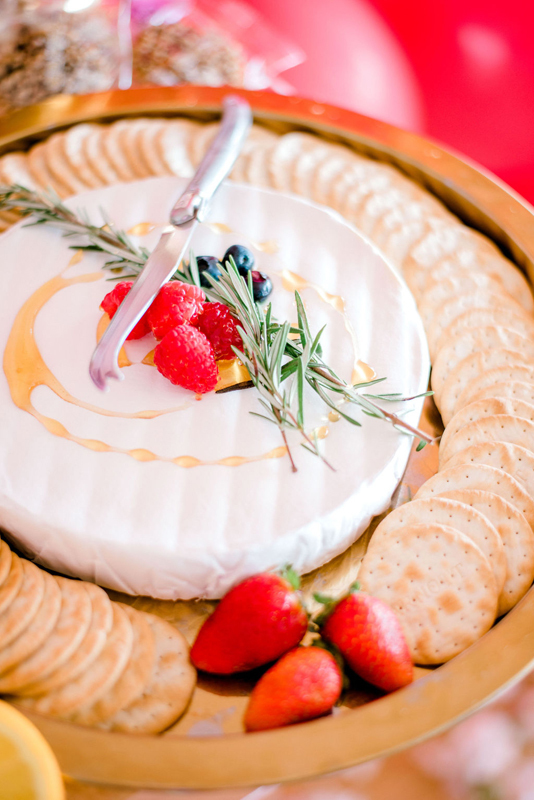 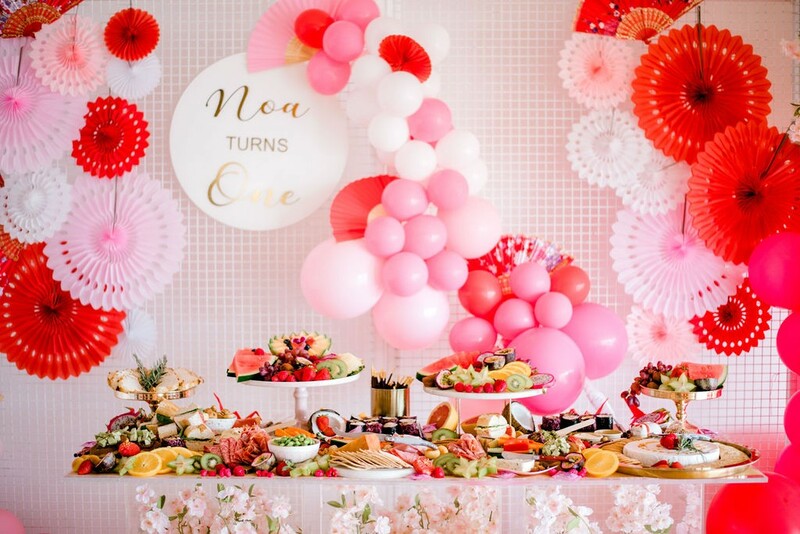 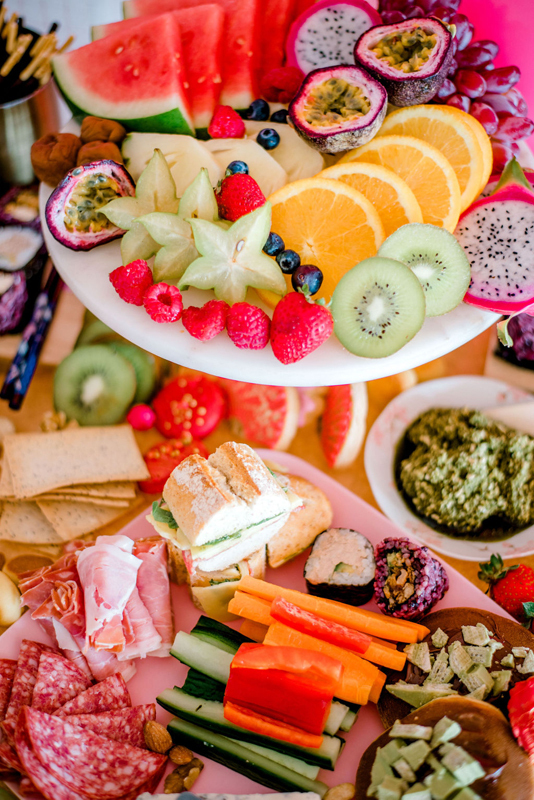 If you’re thinking about throwing your own party and are looking for some advice, Grace says “be meticulous in ensuring that everything is cohesive with your styling, and also, you can never over plan!” And if you’re looking for some inspiration, get lost in these terrific pics.